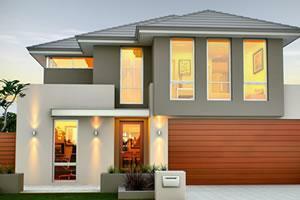 The Renowned Homes Collection is a member of the RBWA Family and has been building homes for more than 10 years. 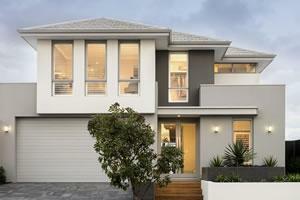 We specialise in narrow lot two storey homes designed to maximise your living spaces on 10 and 12 metre blocks. So if you are looking for double storey home designs for a narrow lot with a small frontage you’ve come to the right people. "We cannot express our gratitude enough for the wonderful and professional way in which you have built our lovely home"
"Overall very pleased with our experience and would definitely recommend"
"Very satisfied and will likely to recommend us to their friends and family." "There's always room for improvement but there is nothing for the company to improve in particular." "The supervisor deserves a massive pay rise. He is the best. He should get a promotion and train all building supervisors before they are given houses to build. His knowledge and expertise should give him pay rise." "We were very happy with the service." All of our narrow lot 2 storey homes are both stylish and spacious. Our expert planners and designers make the most of every metre on your narrow lot block, ensuring that no space is wasted. 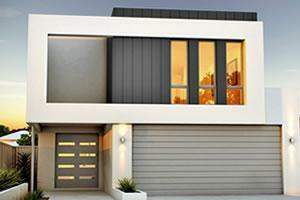 We know how to utilise space well and how to work a narrower space to your advantage, which is why we’re well- known for building impressive and spacious narrow lot two storey homes in Perth, at an affordable low price. Whether you’re after a narrow modern house or a larger two storey family home, our narrow lot house designs can be customised to suit your living needs. Our specialised double storey home design team and expert small block builders in Perth will work closely together with your preferred home design and the measurements of your unique block of land to ensure that you’re completely happy with the end result. We ensure that your narrow lot house plans work well with your block of land, the chosen suburb that you’re building in, and of course – your personal style and family’s needs.